Broadcast Online Radio (BOR) is an online radio broadcasting company where amateur and pro internet radio broadcasters can come for all their internet radio needs. We are also positioning ourselves as being the go to place for listens to find the best live internets radio programing around. (4) People like to show off their adds and they may have a target following of people whom they would like to show their ad off to. 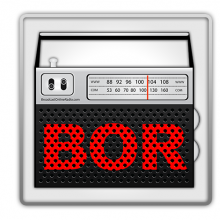 Internet Radio Broadcasters- want to increase their listenership and listener interaction by adding their friends the BOR network. (4) The more people the broadcasters invite to the site the more potential listeners/fans and they will have to promote their events and services to. Listeners - Will want their contacts to joint to better their chances at winning on air contest where each friend invite will equal an extra raffle ticket for contest. (4) The more people the listeners invite to the site the better the odds are of them wining contest. Musical Artist - Will want all their friends to hear their music on the the station and request it again and again. (4) The more people the artist invites to the site the more potential listeners they will have listing to their track and possibly buy their single or album. (4) Paying is the only way the advertiser can display ads on air and on site to reach their target audience. (4) Purchasing a plan will provide broadcasters with a station, directory listing, and a dedicated channel for people to find their stations and tune in. (4) if a listener doesn't have a lot of contact but still want a good chance at wining a price they can purchase more raffle tickets. Musical Artist - Can't also by advertisement on air on web to prompt their musical projects. (4) To gain more exposure most artist will want to advertise their albums or singles on the site and on air to sell more copies of their music.